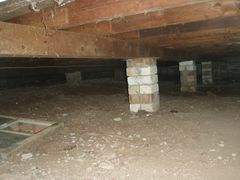 Asbestos contaminated soil that has been used as top soil or land fill. If a building is constructed prior to 1990 there is a possibility that asbestos containing materials are found within the soil, produced as a result of bad construction , demolition or landscaping practices. 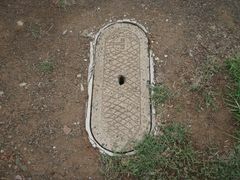 For asbestos in soil to be a risk, fibres must be liberated into the air and then inhaled. The risk of asbestos in soil is dependent on the use, quantity and nature of the asbestos material which has contaminated the soil. 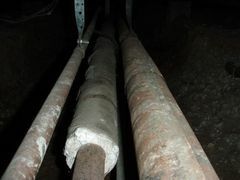 Bonded asbestos forms the lowest material risk as the asbestos fibres are bonded within the matrix (such as asbestos cement sheet) requiring much force to liberate the fibres into the air. The greatest risk is within friable loose fibres found within the soil that are easily liberated when the soil is disturbed. Identifying the type and nature of the asbestos in the soil is critical to assessing the risk and forming appropriate control measurements and management plans. Asbestos soil testing can confirm the presence of asbestos in soil however the sampling technique is critical as asbestos in soil is not homogenous. Asbestos air monitoring is generally recommended to quantify any perceived risk when moving asbestos in soil, particularly during construction and earth moving work. Asssessing the Risk of Asbestos in Soil? Safe Environments asbestos consultants based in Sydney & Melbourne provide site inspections to assess potential asbestos in soil risks. 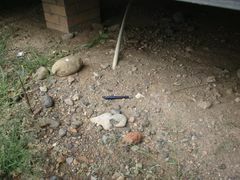 The asbestos soil assessment is based on levels of hazard perceived by our consultants and the proposed use of the land. Safe Environments provides reports for permit applications, expert advice on remedial work and management of asbestos contamination and safe work methods as well as remedial work, monitoring and air testing.